IMPULSE – the change in the momentum of a body as a result of a force acting upon it. Change the outcome of your show goat project. Feed the IMPULSE. Balanced nutrition for today’s modern show goats. Cutting edge nutrition with the latest research technology from Longview Animal Nutrition Center research. 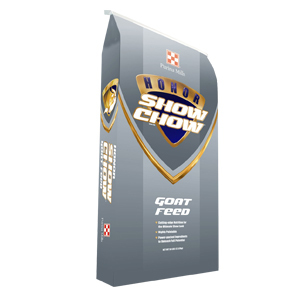 IMPULSE show feed helps support rapid growth and expressive muscle development. Diamond V Yeast Culture is a true, fully fermented yeast culture developed specifically for optimum animal nutrition. Research proven, Diamond V Yeast Culture has a unique ability to enhance ration digestibility, palatability, and intake by delivering a rich, all-natural nutrient source to the animal's digestive bacteria.